the boundaries of free speech and legitimacy. 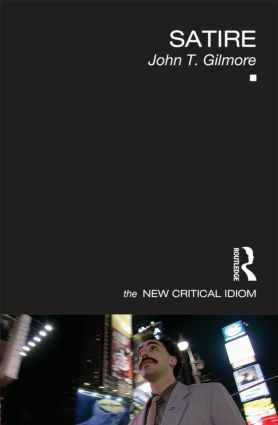 Using examples from ancient Egypt to Charlie Hebdo, from European traditions of formal verse satire to imaginary voyages and alternative universes, newspaper cartoons and YouTube clips, from the Caribbean to China, this comprehensive volume should be of interest to students and scholars of literature, media and cultural studies as well as politics and philosophy. John T. Gilmore is an Associate Professor in the Department of English and Comparative Literary Studies at the University of Warwick. He teaches, researches and has published on eighteenth-century literature written in English and Latin, the literature and history of the Caribbean, and Translation Studies.